This event will be free to all 1HNVC competitors with completed and paid applications. Selected 1HNVC finalists will be given an opportunity to showcase their company and products. In addition to 1HNVC competitors, we are extending an invitation to our event sponsors and judges and entrepreneurial community. You will have the opportunity to meet with 1HNVC competitors prior to the Pitch Night at Microsoft on February 28. Note: This networking event is a precursor to our larger One Harvard 1HNVC Pitch Night at Microsoft, Sunnyvale on 2/28. 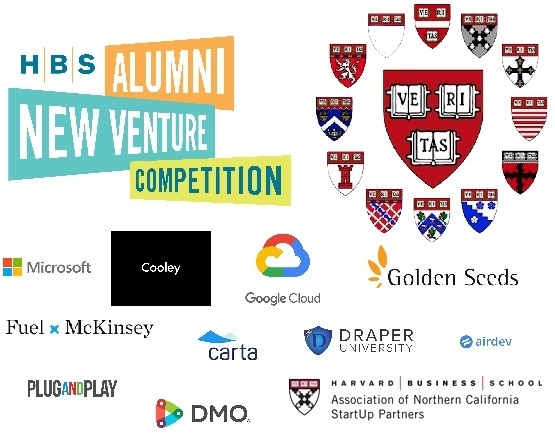 Come watch the 1HNVC finalists pitch their companies and compete to be our Bay Area 2019 1HNVC winner. Don't miss out on our biggest entrepreneurial networking event of the year and a fun-filled evening of wining, dining, and networking.